The American Metal Market (AMM) event is the biggest conference for the North American steel tube and pipe industry held on an annual basis. The 2017 conference gathered more than 350 industry decision makers and influencers and provided an exclusive insight into market trends and forecasts from every part of the value chain. The sessions focused on many of the key issues facing the industry, from market analysis, capacity utilization, and the latest in equipment technology. Fives presented Abbey, Bronx, OTO and Taylor-Wilson technologies and latest achievements while maintaining and creating new relationships. 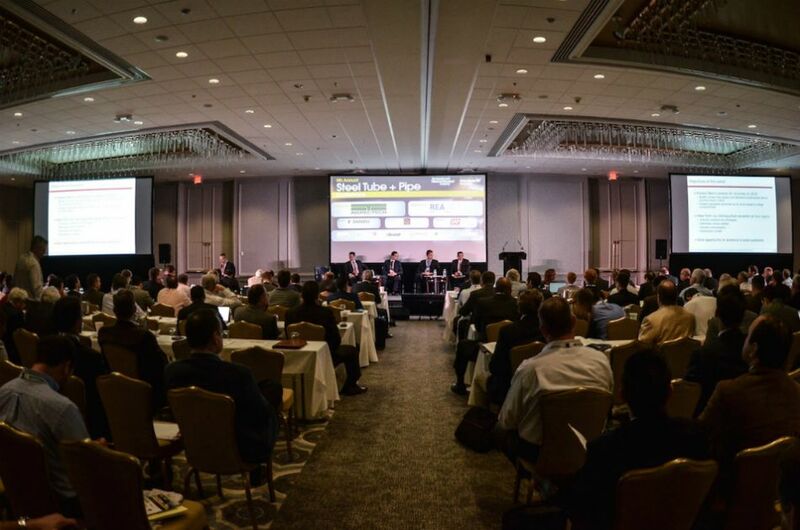 “The conference highlighted the challenges and opportunities the industry faces. We can see more activity for the US domestic tube and pipe industry, which gives certain optimism for the future”, says Randy Morgan, Sales Manager of Fives Bronx, Inc.